If you are looking for accommodation in Baan Chang, Rayong, We are the best luxury service apartment. 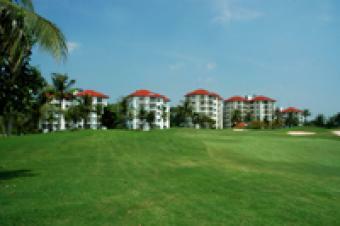 With the fair price among golf course nearby Pha-la Beach. That is equipped with many facilities such as swimming pool; tennis courts, fitness center, sauna`s Golf Course Drive, etc., and secure with 24 hour security. Interest or inquiries to stay on please call now!